Classic American beef is corn-fed or grain-fed. It takes about seven pounds of corn to add one pound of cattle weight. It takes about 1600 calories of fossil fuels to produce 100 calories of conventional beef51. In the long run, this is a losing proposition. And it is not natural. Cattle, with their rumen, are designed to graze. When fed corn, their stomachs can become ten to 100 times more acidic52, welcoming bacteria such as E coli O157:H753. An estimated 25% of the nation’s baking soda is used as antacid for livestock54. And the amount of antibiotics used to promote growth in livestock dwarfs the total amount used to treat diseases in people. It’s easy to find organic milk; it can be tough to find organic beef. Even though there are more than three times as many beef cattle in the United States as dairy cows, there are fewer organic beef cattle than dairy. Organic beef represents less than a quarter of a percent of the beef produced in our country55. Choosing organic beef could make a huge difference in the health of the planet for all of the same reasons listed under #1, Milk, above. 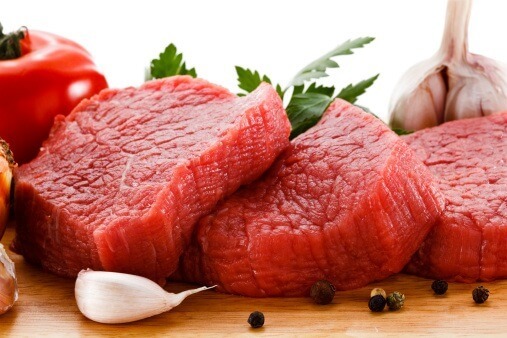 While all beef contains protein, B vitamins, iron and zinc, it also comes with unhealthy saturated fats. In addition to being more sustainable, organic, grass-fed beef also a healthier choice for your family. It tends to be leaner overall and yet have about five times the omega-3 fats of its conventional counterparts56. I suggest replacing conventional either with grass-fed organic beef, or with a variety of other plant or animal sources of protein, such as organic eggs, garbanzo beans (a huge source of plant protein around the world), quinoa (a wonderfully complete protein), or soy. 51Eshel G and Martin P. Diet, Energy, and Global Warming. Earth Interactions. 10(9):1-17. 2005. Jacobson, MF. Six Arguments for a Greener Diet. Center for Science in the Public Interest. Pages x and 11, July 2006. G Eshel and P Marmeat at University of Chicago. 52Feeding Forage to Prevent Rumen Acidosis in Cattle. University of Manitoba. 2002. 53Diez-Gonzalez F, Callaway TR, Kizoulis MG, et al. Grain feeding and the dissemination of acid-resistant Escherichia coli from cattle. Science. 281:1666-1668. 1998. Russell JB, Diez-Gonzalez F, Jarvis GN. Potential effects of cattle diets on the transmission of pathogenic Escherichia coli to humans. Microbes Infect. 2:45-53. 2000. Benbrook CM. Published Research on the Sources and Spread of E. coli 0157. The Organic Center. September 2006. 54Jacobson, MF. Six Arguments for a Greener Diet. Center for Science in the Public Interest. Pages 130, July 2006. The Innovation Group. “Sodium Bicarbonate” chemical profile. 55Certified organic and total U.S. acreage, selected crops and livestock, 1995-2005. USDA. December 15, 2006. 56Rule DC, Broughton KS, Shellito SM. Comparison of muscle fatty acid profiles and cholesterol concentrations of bison, beef cattle, elk, and chicken. J Anim Sci 80:1202-11. 2002.